Who facilitates the ICD events? ICD runs a wide variety of events therefore the staff involved can vary greatly. Depending on the event ICD will occasionally hire contract individuals with the necessary experience or qualifications to ensure safety at a program, for example wilderness guides to facilitate our backcountry programs. Regardless of the type of event are event our staff and or volunteers live with or have been specifically trained on the nuances of diabetes management. We also have the pleasure of working with hospital teams, nurses, dietitians, physicians and/or community partners. Very often programs are made possible by passionate volunteers who donate their time and expertise to support our mission, vision and values. What makes an ICD event adventure different from other recreational/adventure programs? Our experience and expertise relating to diabetes management, especially diabetes and exercise. ICD is one of the most experienced specialized T1D out-tripping program in the world with over 13,000km tread on ICD programs in hiking alone. Another thing that makes ICD different is the wide variety of programs and services, no other organization in Canada offers this much variety. ICD has something for everyone. If we need to cancel, do you have a refund policy? Yes – just send an email to [email protected] or call the office at 877-776-0667 and we’ll be happy to issue your refund. Can I participate if I am newly diagnosed with diabetes? Absolutely! Being newly diagnosed might also mean have a ton of questions, or just want to meet others who have been living with type 1 for longer; all are welcome. Are your programs only for people who use a pump? No – all diabetes management strategies and insulin regimens are welcome! Maybe you’re using a pump and are thinking about taking a “pump vacation”? We’ve been there and can suggest how to figure out long-acting insulin dosages! How can I become a leader for an ICD program? There are a variety of ways. Many of our leaders come from graduates of our leadership programs since they’ve had the chance to grow with ICD and experience our programs firsthand. If you think you might be interested in becoming a leader volunteering with us is a great way to start. Do you provide discounts for multiple event registrations? Unfortunately, we are not able to provide discounts for multiple event registrations. Why do you charge for ICD events? Running a grassroots charity takes a lot of money, time, and dedication. We’re lucky enough to have full-time staff members and we rely on grants, sponsorships, and donations to stay operational. Event fees help supplement this, and make sure our event facilitators are compensated for their time. What if I cannot pay the full amount for the event? ICD is happy to offer our “empowerment fund” for those who require financial assistance as needed. We understand that T1D can be expensive enough to manage, and varies greatly depending on insurance coverage. When signing up for our events, there is always a ticket option for financial assistance. Select that and feel free to reach out to us at [email protected] with any follow up questions. Can parents, siblings, friends, and other caregivers attend ICD events? Yes – you don’t need to have T1D to be able to attend our events. We welcome friends and loved ones who want to come support and learn with us. Does ICD coordinate carpooling to/from events? Yes – if a participant is in need of a ride to/from an event, we will do what we can to coordinate carpooling with our leaders and other participants. While we can never guarantee that this will be possible, our community is a close and supportive one made up of people who help out when they can! It depends. Sometimes programming is structured such that the goal is to develop certain skills for example during our leadership retreats, therefore the program will be most fully enjoyed by those within the age group specified. Sometimes we structure events with the goal of connecting individuals at a certain stage in their lives, a 12 year old probably wouldn’t enjoy programming meant for our “wee challengers” (5 and under). All our family programs are all ages and more specific information regarding whether the program is right for you can be found on our events page. If you are looking for programs for a specific age group you can click our Register for Events tab on our website and choose the “select a category” drop down menu on the left hand side. Can I leave an event early or halfway through? It depends on the nature of the event, but generally the answer is yes. It gets more tricky on our extreme adventures, where we are in the wilderness for several consecutive days without a vehicle (we do have a satellite phone and tracking beacon for emergencies however). Do I need to be involved in sports and recreation to attend an event? No athletic background is required to attend our programs and we welcome beginners. For our Extreme Adventure Series, a certain level of fitness is required due to the physical nature of this program. 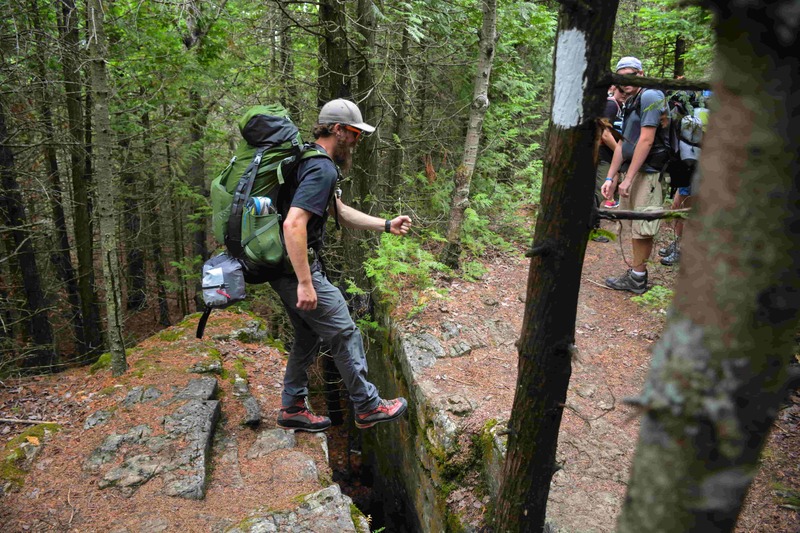 However you don’t need to have any previous hiking or backcountry experience – we’ve got enough of that to go around! Do you offer accommodations for those who those who have food allergies, intolerances, or other dietary needs? Yes – we’re proud to have accommodated allergies,vegan, gluten free (celiac), and low-carb diets on backcountry camping trips, and we’re confident in our ability to manage other dietary needs. When registering for an event where food is involved, be sure to fill out the dietary restrictions portion, and we will be in touch with any follow up questions. What should I do if I don’t have an item on a gear list, such as hiking boots or a backpack? The first thing you should do is get in touch with us at ICD. Over our years of running these programs, we’ve collected a lot of gear which we’re happy to lend out when possible. If there’s something we can’t spare, we’ll do our best to connect you with someone who can! What if I (or my child) get ill during an ICD event? We collect emergency contact information upon registration for our events, so we’ll always call a loved one or caregiver to make them aware of the situation and proceed accordingly. Yes- At ICD your health and safety is our top priority! To ensure everyone is safe and well cared for at our events we ask all participants to include information such as allergies when they register. In accordance with Personal Information Protection Electronic Documents Act (PIPEDA) we will never share your personal health information. We collect data surrounding diabetes management for the purposes of serving our community better, often using this to tailor our programming or ensure we have back up supplies handy in our first aid kits. Do you provide real-time updates for caregivers during events? Yes – our event facilitators can give you updates during events as long as it doesn’t interrupt their immediate duties. Additionally, you’re welcome to hang out and participate in the event yourself. For our Extreme Adventures, we bring along a GPS tracking beacon so friends and loved-ones can follow our journey virtually. How can I get further involved with ICD? Feel free to get in touch with us at 1-877-776-0667 or send an email to [email protected] letting us know how specifically your skill sets/ how you’re interested in getting more involved. Where can I find the photos you take at events? Keep your eyes on our Facebook page for post event photos – we do our best to get them up the following week! If you were at an event and have some good photos/videos, please send them our way! I have a great idea for an event for T1Ds. What should I do in order to make it happen with ICD? Get in touch with us! We loved being inspired by the community and are happy to partner with parent groups etc. Give us a call at 1-877-776-0667 or email [email protected] to further collaborate.